Nelda Robinson Wall-White returned home to her Heavenly Father on April 10, 2019 surrounded by her loving family. She was born to Loren Jesse Robinson and Rosetta Victoria Baker on August 1, 1930 in Oakley, Idaho; she was the youngest of 11 children. As a child, she had a vivacious personality which never seemed to fade even in her precious final days. She married her sweetheart, Frank Brown Wall, in the Salt Lake Temple on August 20, 1954. With an incomparable love for each other, they created a home for their children filled with joy and laughter. Nelda is survived by her 5 children (Julie [Ray] Stokes, Gary Frank [Laura] Wall, Janice Hoopiiaina, Bradley Jay [Lynn] Wall, Annette [Matthew-deceased] Chapman) as well as 19 grandchildren, 16 great-grandchildren (and counting) and her sister, Helen Grant. Nelda was preceded in death by her eternal companion, Frank Wall, her second husband, Don White, her parents, seven brothers, three sisters, a son-in-law, and a great grandson. 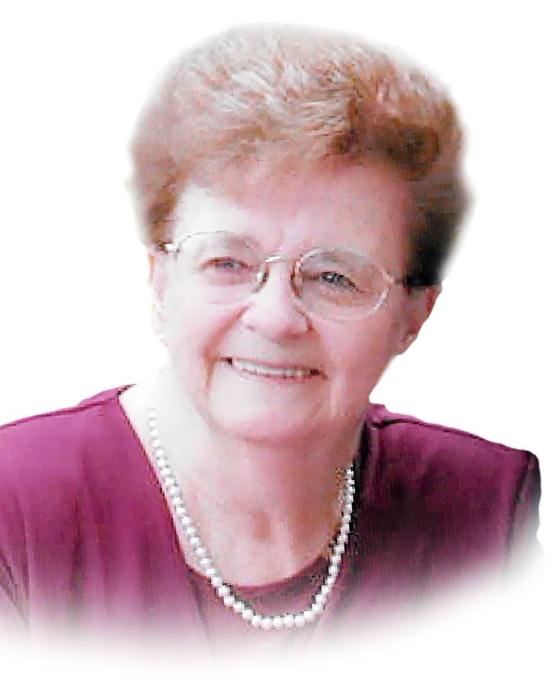 As a profession, Nelda was a school teacher; she taught First grade for nearly 40 years. While she enjoyed all facets of being a teacher, helping children learn to read brought her an extra measure of joy that she treasured immensely. She was a devoted member of The Church of Jesus Christ of Latter-day Saints and has served faithfully in numerous callings throughout her lifetime. She had a strong testimony of the gospel which she shared often. After the passing of her beloved Frank in 2000, she married Don K. White on September 12, 2002. Together, she and Don were loving grandparents to both sides of their combined family. Nelda was a compassionate, selfless woman who was admired by everyone who had the privilege of knowing her. She will be remembered and missed dearly. We would like to give a special Thank You to all of Nelda’s friends and care givers at Bel Aire Senior Living. You were a huge blessing to her and she loved each one of you! You were a very important part of her life this last year. We are grateful for the loving care she received in her final days at Utah Valley Hospital. Funeral services will be held Saturday, April 20, 2019 at 11:00am at the Kenwood 1st Ward, 1765 East 3080 South, Millcreek, UT; friends and family are invited to visit Friday evening 6:00-8:00pm at Holbrook Mortuary, 3251 South 2300 East, and at the church Saturday morning 9:30-10:30am prior to the service. Interment will be at Wasatch Lawn Memorial Park.